Gutters with Maple leaves germinating after only a few months. 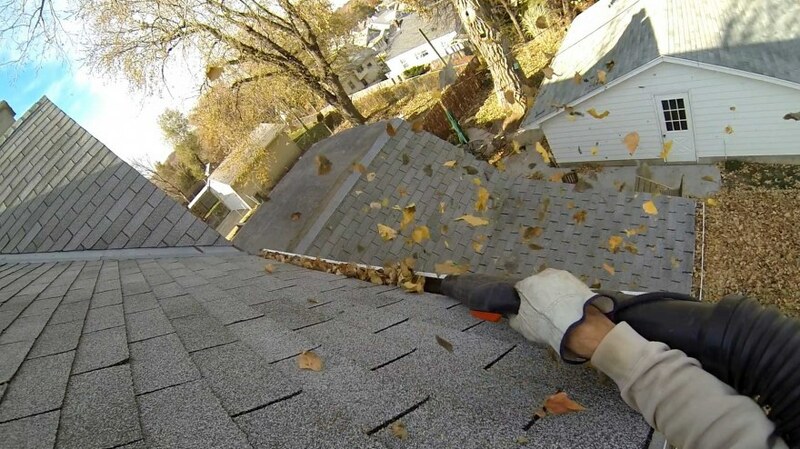 One of the most overlooked, yet very important maintenance jobs on a house is gutter cleaning. Gutters drain off rain and melting snow from the roof and away from the house. 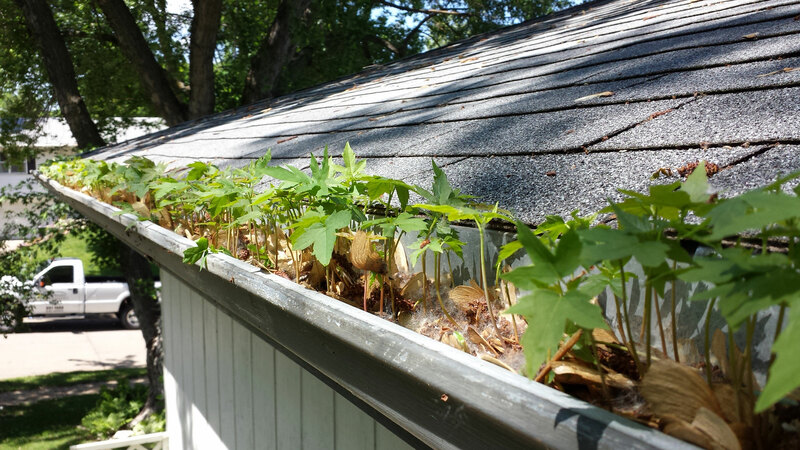 Improper gutter maintenance will lead to clogged or damaged gutters and can cause thousands of dollars in damage to your home’s foundation, exterior trim, siding, windows, doors and basement. Getting your gutters cleaned will make sure that you don’t flood you yard, damage your foundation or your roof, or have your gutters rip off your home from the weight of debris. You don’t want to be involved in any of these scenarios; the cost to clean gutters is much less than fixing any of those possibilities. Most houses should have their gutters cleaned at least twice a year. With all gutter cleanings we will inspect all gutters and downspouts for leaks, rust, dents, screws, low spots or improper draining, and anything else that may be a visible problem. If you plan to do gutter cleaning yourself, always use caution when working on a ladder. Make sure the ladder is firmly planted on even ground and use a spotter. class="post-template-default single single-post postid-36 single-format-standard samba_theme samba_left_nav samba_left_align samba_responsive wpb-js-composer js-comp-ver-5.0 vc_responsive"